This system is the world''s first bit error rate test system combined with an eye pattern display and automatic jitter measurements, all in one chassis. The BA1500's rapid eye mask test is another feature that adds to the efficiency of this cost-effective unit. 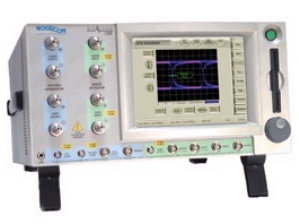 This ultimate physical layer test system comes standard with our patented BitAlyzer® Error Analysis™, which provides detailed analysis of a data stream's errors. Another benefit to this multi-function system is the unit's flexibility, including differential and single-ended I/O that supports variable amplitude, offset, and threshold.